Am I the only one who loves new stamps? No matter how many I have on hand, when the new ones come out, I find myself ordering more. I had a penpal recently mention that she loves the John Lennon stamps but she can’t bring herself to purchase any more because she has enough stamps to last her lifetime. I might have to agree, and yet, I buy more. When these come out, I will be purchasing each of them. I love to use stamps to match their theme to recipient’s likes or hobbies. Or I may color coordinate based on ink, envelope, and the return address label, etc. Depends on my mood and the amount of time I have to decorate the envelope. 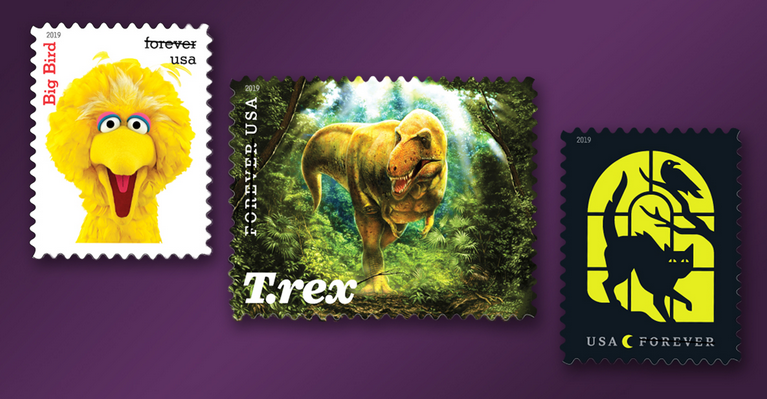 But stamps play an important role. They always have – at least for me. Recently I was listening to the Postcardist (delightful!) where the host, Frank Roche, admitted that until he met a fellow postcard sender, Russ, that he never paid attention to the stamps he used on postcards. What???!!! How can you not? And then I recalled growing up in North Dakota and going to our small town Post Office to purchase stamps. I never asked for particular stamps (didn’t know I could or that they had a variety) and I just accepted what they gave me. Silly me. To get the full preview of each design, go here.